Get Your Life Better With Quality Products. The #1 Water Plant Manufacturer And Service Company In India. Dew Pure works offers an effectual range of Effluent Treatment Plants for recycling of wastewater to reduce water demand. 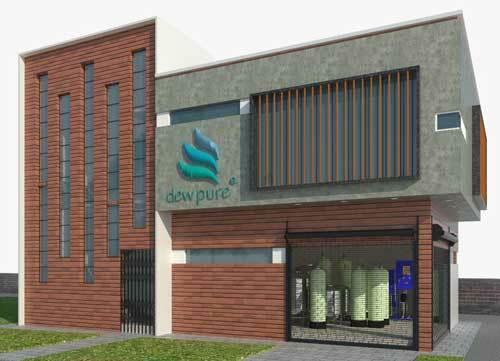 Dew Pure is a renowned name in the field of water management systems in all over India as we are a leading mineral water plant manufacturer. We are a group of efficient professionals, striving hard to deliver unfailing and uncompromising water treatment solutions to our huge clientele. We have seen that different areas of Kolkata have suffered from iron water, hardness of water and sewage water; for a long time. The absence of a proper water management system and water treatment plant was a prominent and consistent problem. With our long experience in this field, we have come forward with our team of experts to deliver effective and cost-efficient solutions to every requirement of our clients, related to water. We produce not only the treatment plants, but also the treating chemicals for a complete support and solution. We specialize in the iron removal plants, water softening plants, sewage treatment plants, Dual Media Filters and Multi-grade Sand Filter, Reverse Osmosis Plant, Effluent Treatment Plant and also water treatment and filtration solutions for the swimming pools. Each one our plants and filters are designed with utmost care, keeping the customer convenience and ease of instalment and maintenance in mind. Removing the turbidity, colour, odour and suspended iron particles from the water and making it suitable for use. We are counted as one of the top manufacturers of Iron removal filtres, which efficiently dissolve iron present in water in the form of lower oxides. Removing hardness forming ions (Ca & Mg), by precipitating them with the help of sodium salts. We design affordable water softener plants which help in producing quality treated water. This water contains low residual hardness, and is very useful for a variety of applications. Recycling the waste water, to produce mineral drinking water; in factories or in residential complexes. We also produce excellent customized plants and filters for different needs. Feel free to contact us and discuss your needs, so that we get the opportunity to serve you.